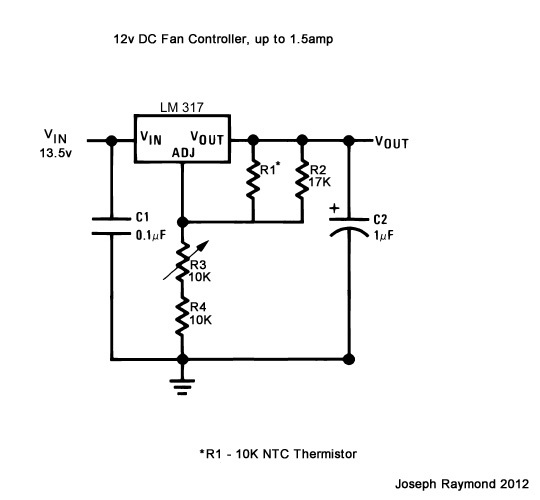 This is my latest fan controller, based off a LM317 regulator. It can be adjusted from fan turn on at 64F and max speed at 131F up to turn on at 104F and max speed at 167F. This entry was posted in Circuits and Electronics, Ideas. Bookmark the permalink.